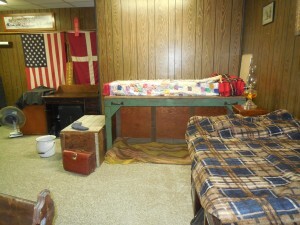 Once again Danish Brotherhood/Sisterhood and Danish Culture Center in Michigan had a very successful Danish Youth camp. The theme was Flugten til America = Immigration to America. The kids heard about Lena a little Danish girl who came to Greenville area with her family in 1800s. A room was set up as a ship bunk room with kerosene lamps, travel trunks and a night pot. The kids also made toys and played games from that era. 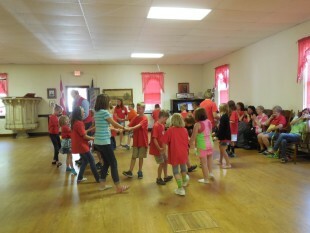 Dances and songs along with story telling filled the three-day event with 25 kids in attendance.